As a Chemist, I am proud to have studied the same course with this wonderful woma, Mrs Ibukunoluwa Awosika who now sits on the board of First Bank as its first female Chair Person since the Bank’s establishment in 1894. Before this appointment, she served as a non-Executive Director on the Bank’s Board. Mrs. Ibukunoluwa Awosika is a graduate of Chemistry from the Obafemi Awolowo University, Ile-Ife. She is also an alumna of the Chief Executive Programme of Lagos Business School and the Global Executive MBA Programme of IESE Business School, Barcelona, Spain. 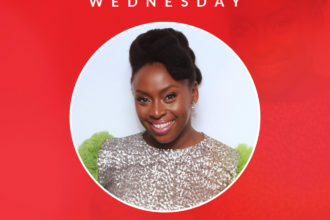 You’d always find her in programmes or launches that have to do with youths and their growth as she even gave House of Tara International Boss, Tara Durotoye, the funds she needed to start up her business. Her career in Finance started with Akintola Williams Deloitte Commpany as an Audit Trainee. Soon after that time, she moved on to Alibert Nigeria Ltd, a furniture company, as Showroom Manager. It was from there she launched out to fulfil her entrepreneurial learning by establishing Quebees Ltd, a furniture manufacturing company, from which The Chair Centre Ltd later evolved. Here are other things you probably didn’t know about this phenomenal business woman…. This 53-year old was born to a Moslem family and has a Nigerian, Mr. Abdulmashood Adekola of Oke-Foko Ibadan, for a father and a Cameroonian mother Hannah Aduke Adekola nee Ashu of Tinto village in Western Cameroon. She is the Chief Executive Officer of Sokoa Chair Centre Ltd which is a joint-venture company of Sokoa S.A of France, Guaranty Trust Bank, The Chair Centre Ltd, and some other local investors. She is also the host of the TV programme, Business-His Way, where she teaches the business community ethical business principles based on the Word of God. Mrs Awosika is the Founder of Christian Missionary Fund, a non-governmental body dedicated to raising support for Christian missionaries across the country. She is also the Chairman, Board of Trustees of Women in Management and Business (WIMBIZ), as well as the Chairman of Intermac, the organisers of SmartCard Conference in Nigeria. She was the Managing Director of The Chair Centre Ltd, a market leader in the office furniture and banking security systems industry, until recently when she was appointed the Chief Executive Officer of Sokoa Chair Centre Ltd, a joint-venture company of Sokoa S.A of France, Guaranty Trust Bank, The Chair Centre Ltd, and some other local investors. Nigeria. Mrs Ibukun awosika is happily married to Abiodun Oludola Awosika, and is a mother to three boys.